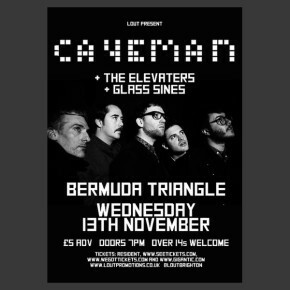 We’re extremely pleased to have just confirmed a support slot for Caveman when they play Brighton’s new venue Bermuda Triangle in a few weeks. Currently about to kick off a European Tour and playing some decent venues over the next few next month, we’re looking forward to joining them when they play Brighton. Caveman a five man vibe collective from NYC released their first album in 2011. As first albums go, CoCo Beware was something akin to a moody statement of intent, a blueprint for a band quickly learning how to create horizon wide rock songs that were equal parts intimate and expansive. Initially self released and later snatched up by Fat Possum for re-­release in early 2012, the record brims over with four part harmonies, crystalline guitar lines, and tracks that see sawed between echoey lullaby (“A Country’s King of Dreams”) to shoegaze by way of classic FM radio sprawl (“Old Friend”). 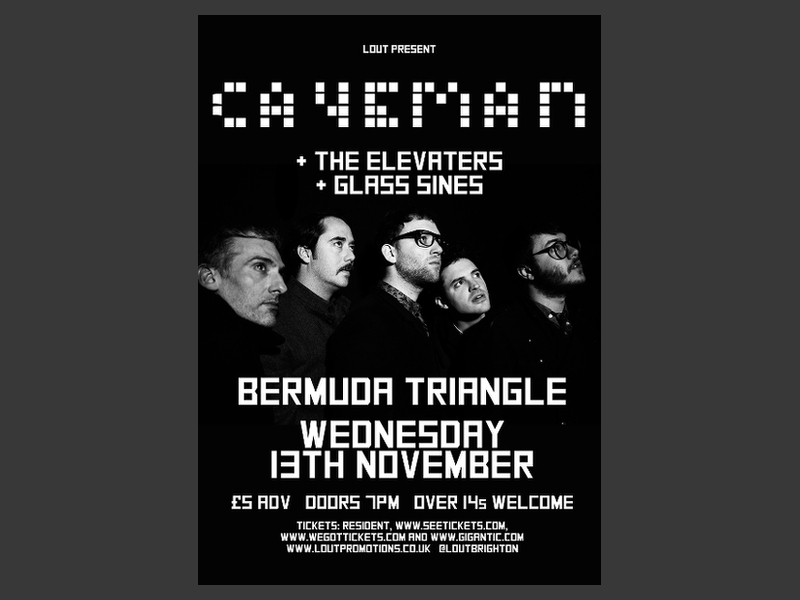 The album quickly elevated Caveman from local band to watch to a sizable touring draw and formidable live act, as evidenced by stints on the road with the likes of The War on Drugs and Built to Spill. Despite being the work of a brand new band, CoCo Beware displayed a kind of Zen like ease. It was the sound a five friends settling into a nice groove; the music that happens when, for whatever reason, a lot of seemingly disparate elements finally fall into place. Over 14’s welcome. Support from The Elevaters and Glass Sines.